Portrait of James Lang 1878-1956, in wooden frame. Mr Lang was the maker of the gavel casket (object number 454). 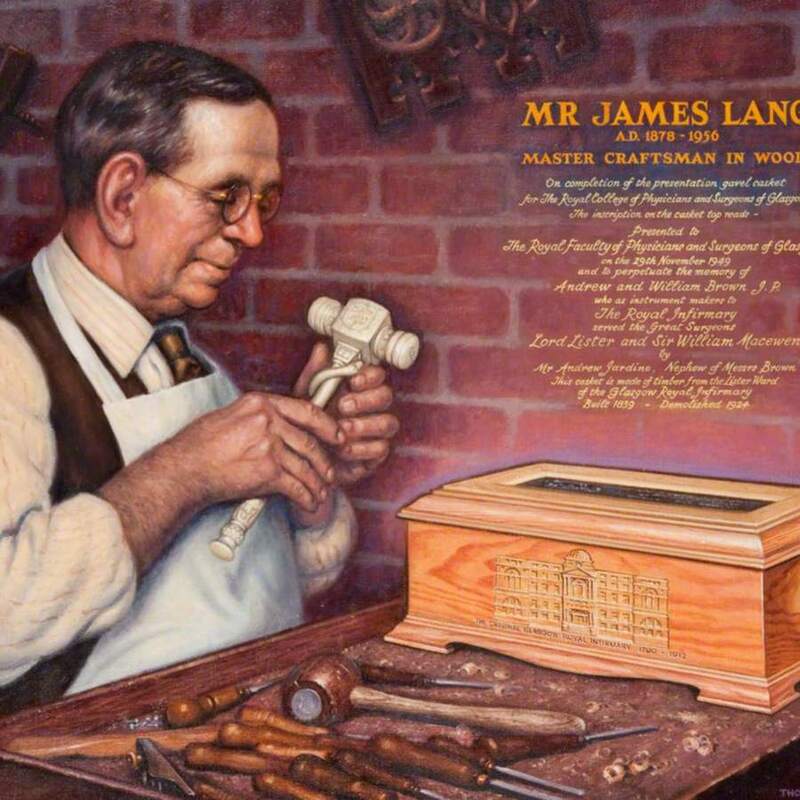 Thomas M. Taylor, “Mr James Lang AD 1878-1956 Master Craftsman in Wood,” Heritage, accessed April 25, 2019, https://heritage.rcpsg.ac.uk/items/show/383. Description: Portrait of James Lang 1878-1956, in wooden frame. 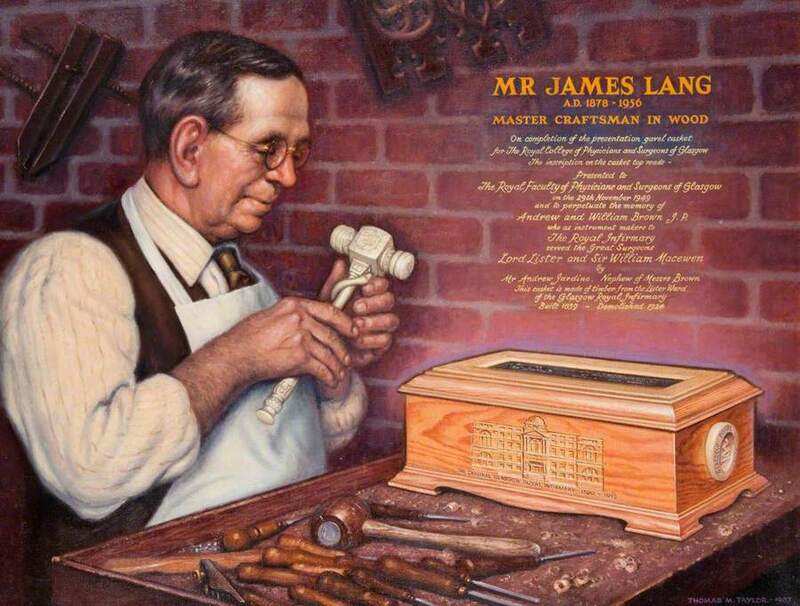 Mr Lang was the maker of the gavel casket (object number 454).